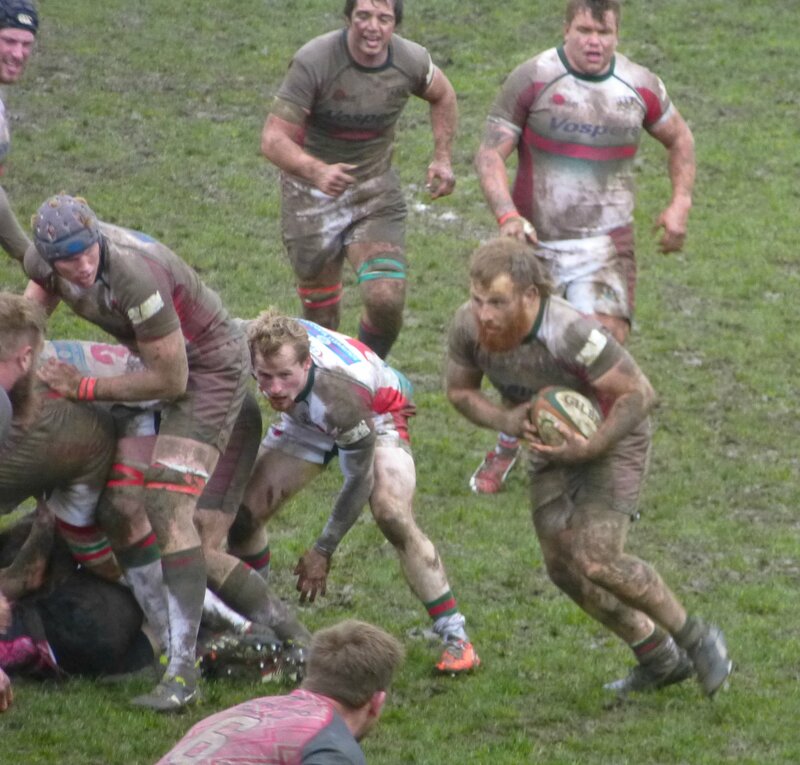 THE looks on the Plymouth Albion players’ faces as they trudged off the muddy Mennaye pitch on Sunday said it all. They and the club’s loyal supporters know their hopes of staying in the Championship are now hanging by a thread. The loss at the hands of their West Country rivals the Cornish Pirtes leaves Albion seven points adrift at the foot of the table with just three matches to go. One of those games is against the team immediately above them, Moseley, but Albion now need to win that one and at least beat either Bristol or Doncaster at home. But even if they win all their remaining games they will still be relying on Moseley to lose. Albion had to beat the Pirates to have their destiny in their own hands. Yet, in horrible conditions in Penzance, Albion never looked like claiming their first win over the Cornish outfit for five years. The home side were better in all areas of the game. Albion, like they have been for most of the season, were toothless in attack. It was only in the final 15 minutes that they really looked like they might put some phases together and score a try, while they also struggled in the set piece. However, if Albion’s are relegated and their 13-year stay in English rugby’s second tier does come to an end, it will not be down to Sunday’s loss. The problem was Plymouth’s shocking start to the campaign that saw them not claim a single win from their opening 10 games. But questions about what has gone wrong at the club this term must wait. At the moment, while there is still is hope – no matter how faint – Albion and their supporters have to just keep believing it is still possible. Moseley’s other two games apart from playing Albion are away at Bedford and Jersey. They are not the easiest trips to make. But the fact remains if Albion don’t beat Bristol and Moseley were to beat Bedford in the next round of fixtures on April 11 then Plymouth will be playing in National One next term. Albion needed a good start at Mennaye Field to give themselves some belief and momentum, but the opposite happened. It was the Pirates who came out fired up and scored a try after less than three minutes when fly-half Kieran Hallett, one of three former Albion players in the home line-up, finished off a good move. He also converted his try. The Cornish side, with ex-Plymouth scrum-half Tom Kessell pulling the strings, were totally dominant in the opening period. They pushed Albion off their first scrum and stole their first line-out. And it was no surprise when Hallett increased their advantage to 10-0 with a penalty. Albion had hardly been in the game for the first 15 minutes but by the 23rd minute they had reduced the gap to just four points with two Declan Cusack penalties, while Jack Arnott nearly managed to grab a high kick forward. The Irish fly-half, who missed with one effort, then kicked a third penalty to make it 10-9. Yet just before the break his opposite number Hallett added one of his own to give his team a four-point lead at the break. Considering the lack of chances Albion created in the first period they probably went in at half-time thinking that they could get a result if they could step it up in the second 40 minutes. But they were not able to do that and they paid for giving away a number of costly penalties that led to Chris Morgan scoring a try from close range for the Pirates. 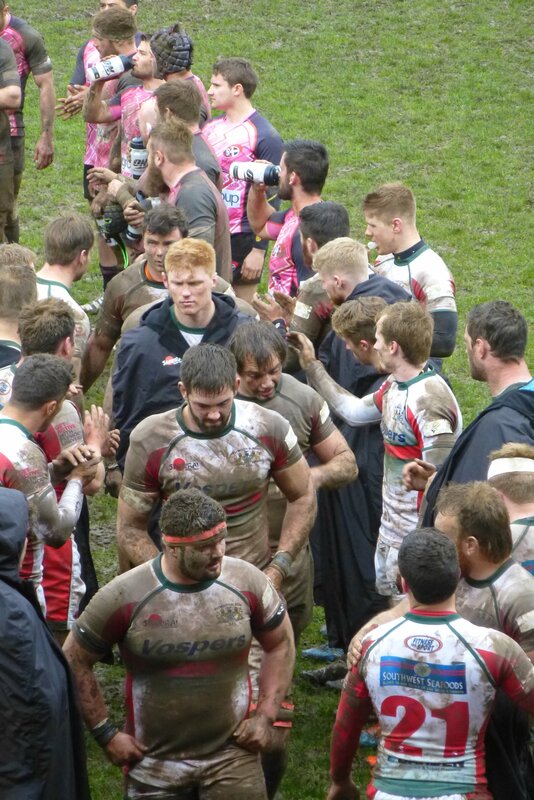 The home side had made 65 metres courtesy of two Albion penalties and they made the pressure on the line tell. 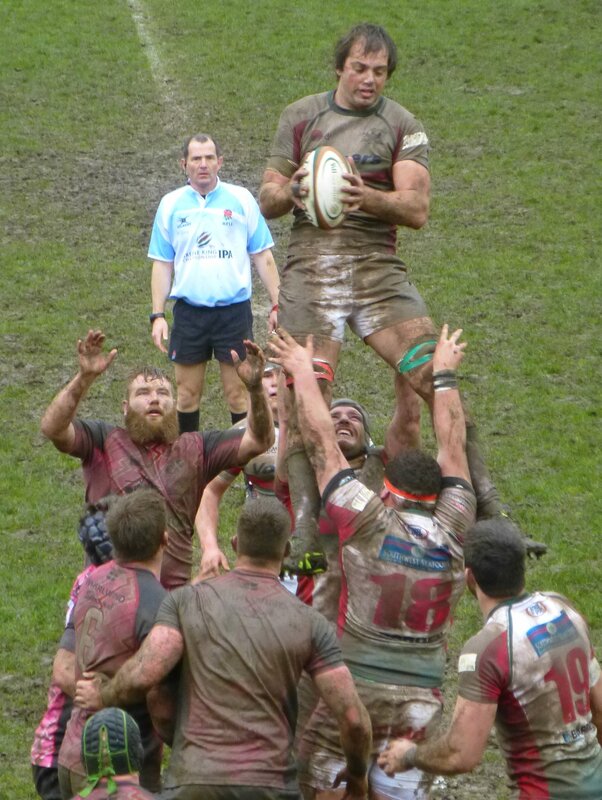 The Pirates always looked dangerous with their driving maul and they used it to good effect in terrible conditions. Hallett missed a penalty on 53 minutes following what appeared to be a harsh call for a high tackle by Eoghan Grace. But 10 minutes later the Pirates put the game beyond Albion with a third try with another great drive from a line-out after the visitors gave away another penalty. Hallett was the man awarded it but it was almost impossible to tell among the mass of bodies and the muddy shirts. He converted the try anyway to make it 27-9. Albion, with their replacements on, did at least show some spirit in the final 10 minutes. They gave themselves a fighting chance of getting something out of the match when flanker Grace scored from a maul and Cusack converted. They went looking for another try that would at least give them a bonus. Jack Arnott made a good break – Albion’s first real one all game – but he was stopped 20 metres out and eventually the visitors knocked on. Cornish Pirates: 15 Matt Evans, 14 Mike Pope, 13 Tom Hendrickson, 12 Alex Dancer, 11 Craig Holland, 10 Kieran Hallett, 9 Tom Kessell; 1 Paul Andrew, 2 Rob Elloway, 3 Alan Paver, 4 Laurie McGlone, 5 Darren Barry, 6 Chris Morgan, 7 Joe Atkinson, 8 Matt Bolwell. Reps: Tom Channon, Marlen Walker, Will Graulich, Jake Parker, Stuart Townsend, Laurence May, Rheon James. Tags: Cornish Pirates, Cornwall, Plymouth, Plymouth Albion, Rugby. Bookmark the permalink.